Home » Lawsuits » How much can I sue for my injury? Question: How much money can I file a lawsuit for? Answer: You cannot sue for a declared amount of money for injuries in New York anymore. The amount demanded will be requested of the jury at the end of the trial. The amount of money you are suing for in a personal injury lawsuit used to be stated in the Complaint. The Complaint is the legal document starting the lawsuit. It is filed with the New York State Supreme Court and served on the defendant. The Complaint states a lot of allegations besides how much money is being demanded, including: how the accident happened; that you were injured; who is responsible for causing the accident; who is responsible to pay for your damages; and many other things. The amount demanded was arbitrarily determined based on what the lawyer thought was enough for the injury. I have seen Complaints from many attorneys demanding amounts of $150,000 to $300,000 for injuries in accident cases. Some lawyers looking for publicity sued for hundreds of millions of dollars. Once the Complaint is filed, the amount demanded could not be changed without a court order. Since the court might not allow the amount to be increased and there was no additional court fee to sue for more money, there was no reason to demand a small amount. Because a jury can award more than you thought the injury was worth and an injury often gets worse during the course of the lawsuit, I always demanded at least $10 million in every lawsuit. I admit that in one case I was one of those lawyers who sued for $500 million. 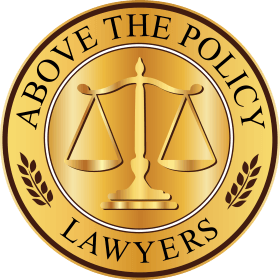 In 2003, New York law (NY CPLR § 3017 (c) Demand for relief) was changed to prohibit lawyers from demanding a declared amount of money for injuries in a Complaint. This was done to stop lawyers from demanding millions of dollars to seek publicity. Now, you just demand “money” in the Complaint and the amount of money is requested of the jury at the end of the trial. Occasionally, I still see lawyers filing a lawsuit seeking a large amount of money. This is either done because of ignorance of the new rule or because the lawyer wants publicity. The consequences of ignoring the rule can range from nothing to sanctions (punishment) by the court against the attorney or your case and punishment from the grievance committee for an ethical violation. How much is your injury worth? See the value of these injuries and the amount of money we got for our clients. See how we prove even a broken rib is worth a lot of money.